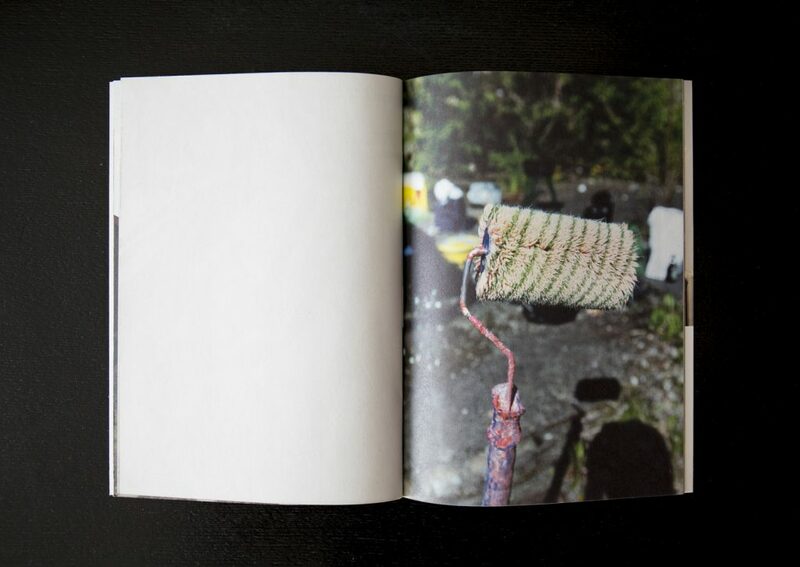 Rivasi continues by describing Bessers variation of format from photos and flyers, to chalk or engraving, and even exploring the performative element of urban art in showing videos of his works. For Besser necessity is the mother of invention he explains that “in winter time I cannot do huge walls outside, but I do continue to draw, or I start to prepare prints in my studio. Later in Spring I paste the stuff in the streets.” He might save leftover paint from jobs or elsewhere circumstance may open up new opportunities. As when on a funded trip to Bulgaria he was able to put up works in remote corners of the country. His pragmatic approach boils down to “using opportunities and combining it with public space.” While the methods and settings may change one theme he returns to is graffiti culture. Besser says “I like to work on trains or along the tracksides. That’s because of my history. 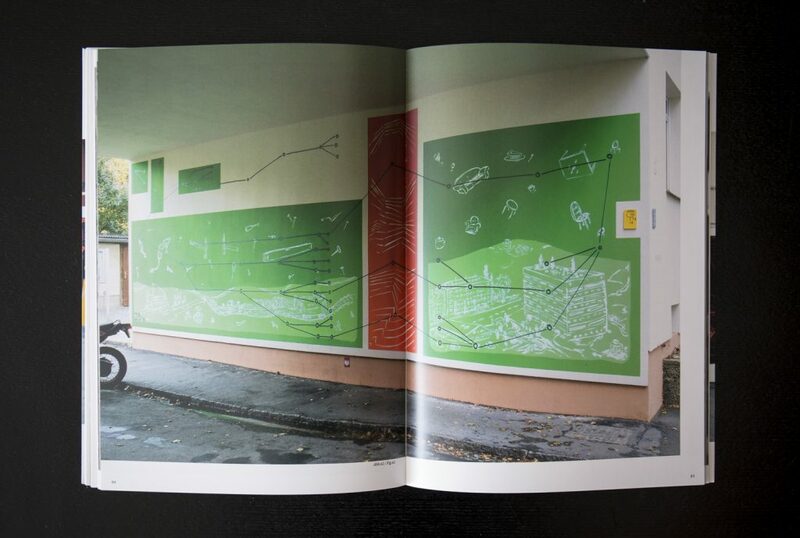 During my writing period I was an active member of different bombing crews in Germany.” So it’s easy to understand how Rivasi interprets the ubiquitous network of lines running through Bessers murals as railways. In a later chapter Robert Kaltenhäuser says Bessers exploration of train writing becomes “a never ending story” constantly repeating and referencing itself. This is the section of the book that delves into art-history. He goes on to make links to artists who have made their craft the subject of their paintings but also those who have captured trains from the beginning of the railways. Kaltenhäuser argues that while the train has become the surface for the painting, rather than the topic, the romanticisation of it remains the same. 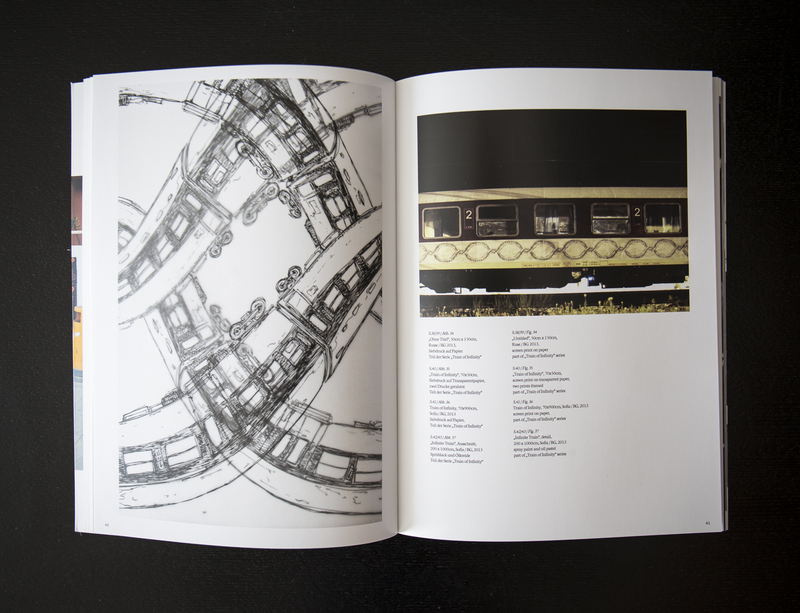 Javier Abarca also discusses the constant allusions to train writing within Bessers art. An unusual example is the use of an angle grinder which is seen as a reference to its practical use to access modern train yards. In another painting a not-too-distant future is imagined in which both graffers and the police deploy an army of drones onto the railways. Besser often emphasises the importance of collaboration so it’s fitting that alongside his solo book there is also a BWNC crew zine released. Made up of four members the crew was formed in prison although, almost as a parody, this was while the founders were participating in an art project there. Unfortunately, while they were supplied with plenty of caps, the paint for the project failed to materialise so the group were left drinking beer while they waited. Hence the crews name; Beer Waiting Needle Caps! For the members the crew is a chance to share ideas, techniques, and collaborate in new ways. This zine came out as part of a group show they held in Dresden last year. Each member has a couple of paragraphs about their motivation alongside some nice flicks of derelict buildings, trains, and the odd framed picture. Both these publications are really nicely produced and have a more personal focus than Bessers previous books. Amongst all the nice photos in Trains, Travels, Murals are well written articles that represent the work well. There’s a lot of interesting content from the chalked up train, the intricate line details in the murals, and the constant references to graffiti culture and its intangible heritage. 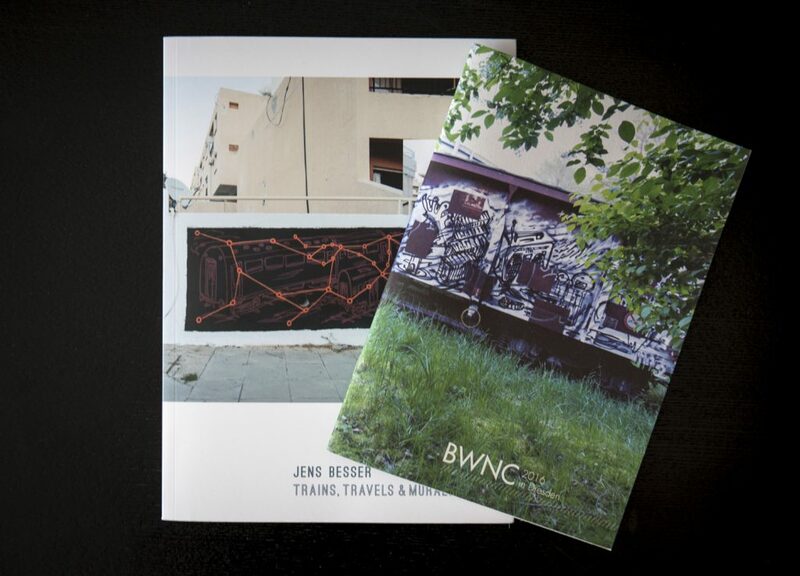 Meanwhile the BWNC zine complements the book nicely. As Duchamp had century ago, Rivasi boldly predicts that Besser will have a decisive impact calling him a “pillar of urban art.” Time will tell.